Now that's a puzzle! 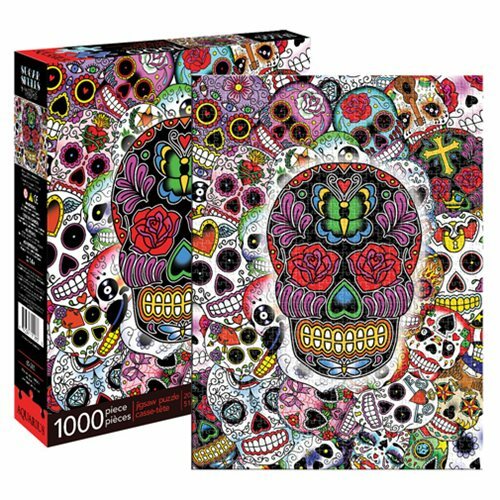 Wrap your mind around this awesome Sugar Skulls 1,000-Piece Puzzle inspired by the calaveras used in the Mexican celebration of the Day of the Dead (Día de los Muertos). It measures 27-inches tall x 20-inches wide when completed. Ages 14 and up.